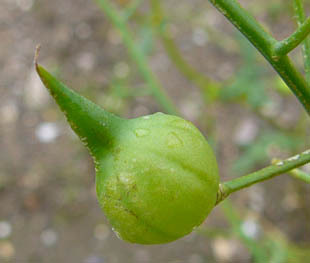 more common in the Southeast and East Anglia. 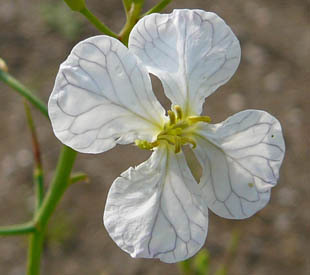 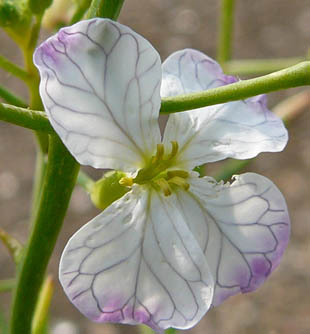 The flowers are white or lilac, distinctly veined and uo to 3cm. 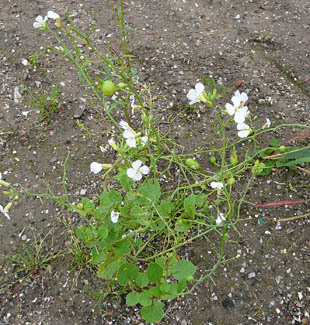 Pods are larger and less beaded than Wild or Sea Radish. 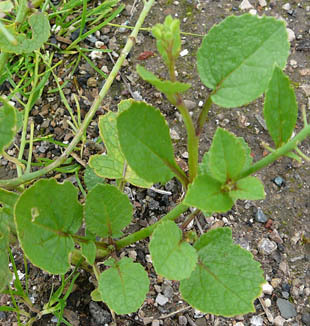 Leaves are pinnately lobed with a large terminal lobe.